Loads of different products on the market dude your spoilt for choice . Thanks all for the responses and recommendations, think Im going to go for Perl or Q2 Tyre due to the cost and 0 sling. Which do people prefer for durability/ease of application/look? I have both, I regularly use Pearl but Gyeon does last a bit longer! Pearl is a nice dressing for the plastics also! Get Pearl! This is Pearl on the Mrs Cooper S.
I recently started using ODK Attire and it’s great, it comes in a nice dispenser bottle too! Here’s a pic of it on my tyre, lasts 2/3 weeks, maybe longer, but I usually strip back and reapply! Not something that gets mentioned often, but i'm really surprised by the ability of Demon tires, I don't tend to drive after washing so can't comment on sling, but the look is very natural and seems to last well, as a bonus i picked it up in B&M for £3 a bottle. I had some Poorboy's Trim restorer lying around, tried that on my tyres and found it works really well and lasts 3-4 weeks. 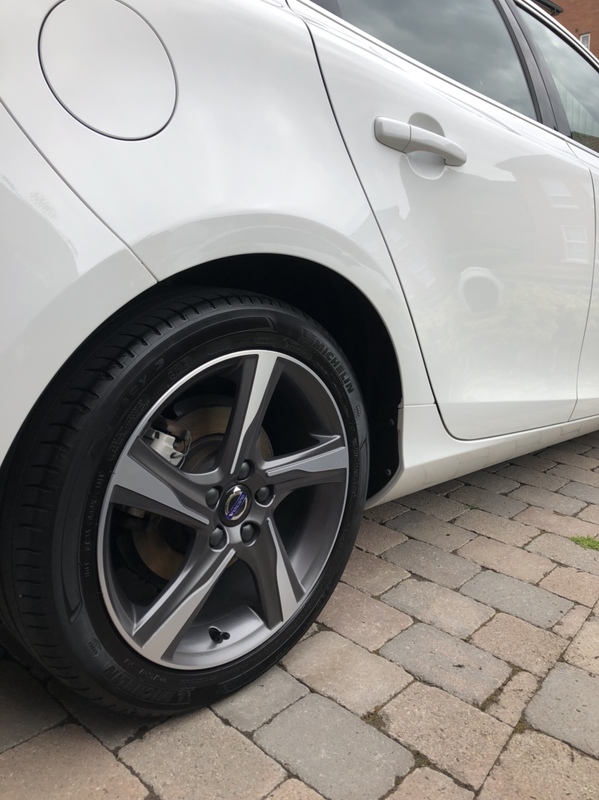 One option for you if you don’t like tyre shine is Adams tire and rubber cleaner, leaves tires looking nice, clean with that new tire look without the need for anything more however I usually add something extra to give a little shine.